We believe “great gardens start at the roots” and the story of our beginning truly reflects that statement. As a child you could find me, Catherine, spending the majority of my days outside. Bill has always had a love for working the land and being outdoors. 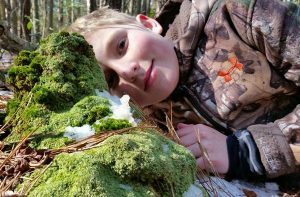 Our shared passion for plants, gardening and landscaping is what brought Roots Garden Center & Landscaping to life. In 2002, we decided to transform a farmer’s field along Rt. 113 in Frankford into the home of Roots Landscaping. Over the years it has grown into the colorful, sprawling garden center that it is today. We enjoy serving the homeowners and professional landscapers of our local beach communities as well as the visitors on their way to a great vacation in our resort towns. 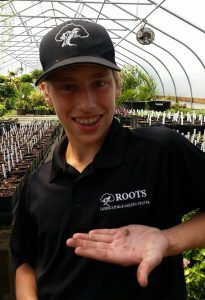 At Roots, every member of our dedicated team has a passion for gardening, landscaping, and all things green. We enjoy working with both avid gardeners and beginners to provide the best options for their needs and it’s truly a pleasure for us to chat with fellow plant lovers on a daily basis. In our garden center, you will find a unique and wide selection of flowers, trees, and shrubs that you won’t find elsewhere. Rest assured, we also have tried and true favorites and native species that are well suited for our beach environment. In addition to our Garden Center, we offer year- round classes that provide a look into a wide variety of gardening and landscaping topics, and creative make and take workshops. The Roots Landscaping team specializes in designing and installing everything from basic landscape packages and extensive perennial gardens to irrigation systems, stonework, lighting and much more. You won’t find the amount of care and focus we give to making your landscape plan fit to your site and lifestyle anywhere else. Everything from your lot, soil type, tree cover, and grading is considered, as well as the level of care and maintenance you’re able to devote to your garden. . . With all of this considered, we can then develop a customized plan to meet your goals and budget. We look forward to seeing you at our garden center and helping you bring beauty into your homes and landscapes.